Heather has worked as a de-clutterer since 2007 and thinks it is just ‘the best work there is!’. "Any form of chaos delights me, it is always a challenge. Helping clients find a practical and enjoyable way to manage their things is the aim. Heather runs a separate Social Enterprise called ‘Clouds End CIC’ which works with local authorities and helps them work with their tenants who might have got into trouble with their belongings. 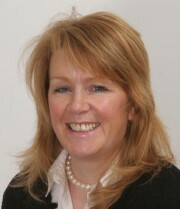 Heather has taken part in BBC’s documentaries ‘Britain’s Biggest Hoarders and is an associate trainer for MIND. She has an Enhanced CRB check. She lives in Solihull, West Midlands and covers the surrounding areas including Birmingham, Coventry, Leamington Spa, Cheltenham and anywhere within 1.5hrs drive.